Lancaster, PA, October 21st, 2013 – After a sizzling US domestic theatrical release of over 100 screenings, the award winning film “The United States of Autism” is officially in the running for the 86th Annual Academy Awards. It is the only film featuring the entire autism spectrum on the Academy list for 2013, and was highlighted in the exclusive announcement by Hollywood magazine “The Wrap” this past week in Los Angeles. An entirely crowd-sourced film using a Pepsi Refresh Project Grant and Kickstarter funds, and positively reviewed in the NY Times, LA Times, Hollywood Reporter, and Variety Magazine, the film follows Richard Everts’ 11,000 mile, 40 day journey across America to visit twenty families and individuals living with autism. Interviewees come from a broad cultural spectrum from Mormon to Muslim and Hispanic to Chinese. Each person shows how autism has shaped their world, sometimes for better, sometimes for worse, yet always with significance. What Everts learns along the way changes not only his life, but the lives of those he meets, forever. …Candor, warmth and impressive displays of fortitude abound. 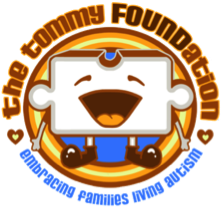 Started in 2005 by two parents of a child profoundly affect by autism, The Tommy Foundation has grown from a small dream in Lancaster, Pennsylania to now an award winning foundation with connections all across the United States. We firmly believe that the most important assets in the world are people, and while there is a place for research in all movements, investing in human beings will always yield the greatest return. Follow one man’s 11,000 mile, 40 day journey across the American landscape to visit twenty families and individuals affected by autism while searching for answers for his own son. With interviews from around the nation that include the widest spectrum of backgrounds – each conducted in the participants’ original language – the film weaves a broad and compelling tapestry across the spectrum of American life in all its faiths, disparities, colors, and cultures. 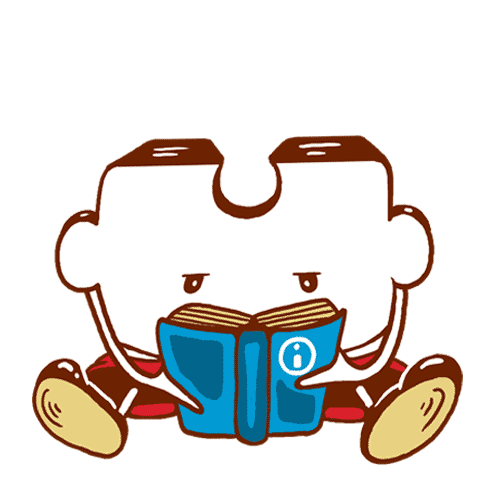 What he learns along the way will change not only his life, but the lives of those he meets, forever. It’s a story about the best days that still lie ahead for our nation, the families, and the people who give America its heart. For more about the full story and production, visit our film page. Immigrants from China and Korea, and a family from Puerto Rico, all who can barely speak English try to navigate the system. A Muslim family discussing the challenges of not only autism, but dealing with it as a Muslim in America. An everyday African-American family (the first in an autism feature doc as far as we’ve seen) fighting poverty and the condition at the same time. A family from Iowa that has spoken with every presidential candidate about autism the last 2 elections, including every remaining GOP candidate. An interracial Mormon family that defies stereotypes. A family with three boys that have Aspergers and have extremely different views on their condition. A father that had 2 heart attacks at 38 from the stress of dealing with his profoundly affected son. A mom with Aspergers herself discussing her kids on the spectrum and her national advocacy which has taken her to the White House. A Filipino family that saw the dad go from an extreme party animal to a key advocate in San Francisco. A high ranking family in the Army where the dad worries, as an officer, that his kids will not know who he is coming back from random deployments, plus their advocacy work with the Joint Chiefs. A single mom doing everything she can to help her family which leads her to ESPN. A family that received death threats for their advocacy work in the heart of the South. A single mom fighting for services in a state that has no low-cost providers. A young man with Aspergers setting up the largest on-line Aspergers group in the world. A family of a profoundly affected adult who has to put him into an institution. Someone who says he completely recovered from his Autism and how it’s affected his life. A mother with twin daughters whose story will have you still believing in fairy tales. A young self-advocate that takes our crew through her work in Beverly Hills. A mother and family that wonders why their girl has to fight harder then their son for services. A family with three boys not the spectrum, all recovering at different levels. For more information about the families, including links to pictures of their time with the film crew, go here. The film crew has worked on projects with everyone from Jennifer Lopez and Marc Antony, to Nickelback, Kid Rock, Moby, Fortune 500 companies and more. For a detailed description of who they are, and the work they’ve done, visit our crew page. The film received funding from the Pepsi Refresh Project in the amount of $50,000. This contest was won through a massive social media outreach campaign by multiple autism agencies, and the Tommy Foundation became the first autism organization in the nation to win a grant like this. For more information about the Pepsi Refresh Project process, and the massive campaign that went into winning it, please visit our Pepsi Refresh page. In May of 2012, the film received $10,550 from it’s Kickstarter campaign to help distribute the film. The film opened to a sold out NYC AMC theater on April 5th, 2013, and the film was seen in over 100 cities around the country including private showings. Over $20,000 was raised for autism groups, individuals, and services around the United States.